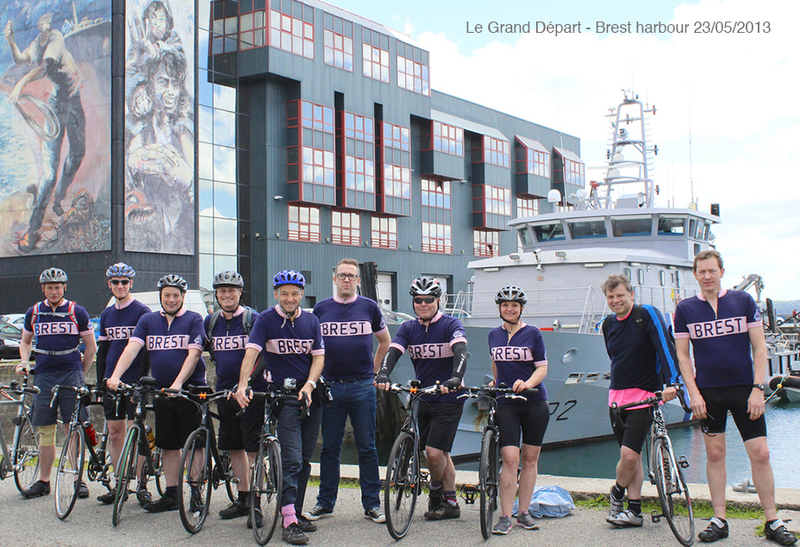 Brest2Ars is a charity bike ride from Brest in Finisterre, Western France to Ars on Île de Ré. What started as a puerile joke in the pub 3 years ago became the first ever joint cycling fundraiser for Breast Cancer Care and Prostate Cancer UK. 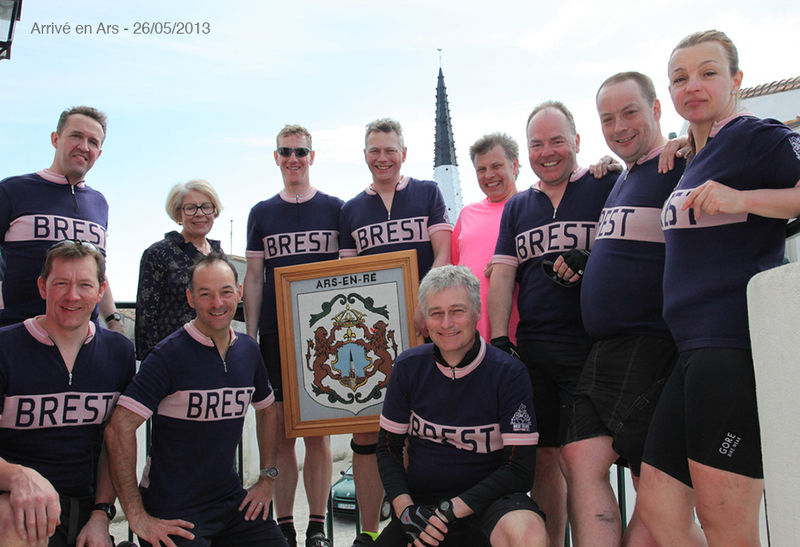 Between them, B2A 2013 and 2014 raised over £25,000 for both our nominated charities and were memorable events for all those who took part or were involved in some way. 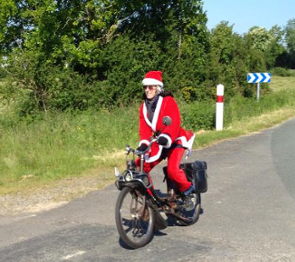 Check out the images from the inaugural B2A charity ride. Team shots, whiskey shots and strange french people on motorised bicycles, you'll find them all here. Où sont Brest et Ars? For those that don't know their French geography or anatomy. Brest is on the West coast of France in the Finisterre region and Ars en Ré is in Il de Ré aprrox 600km to the south, just off the coast of La Rochelle. 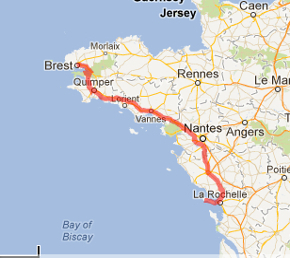 Check out the full route on mapmyride. 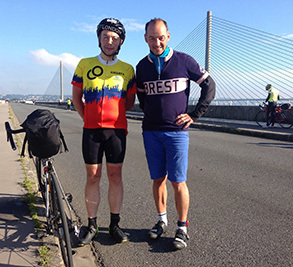 With no B2A ride to keep them out of trouble, two of our finest riders George (Disco) Brisco and Lui Zurawski decided to take on the epic Paris-Brest-Paris. This blue riband of randoneur rides entails covering 1200km in less than 90 hours. Needless to say it doesn't leave much time for sleeping. The guys completed it with an hour to go. Chapeau!